Hello my friends. 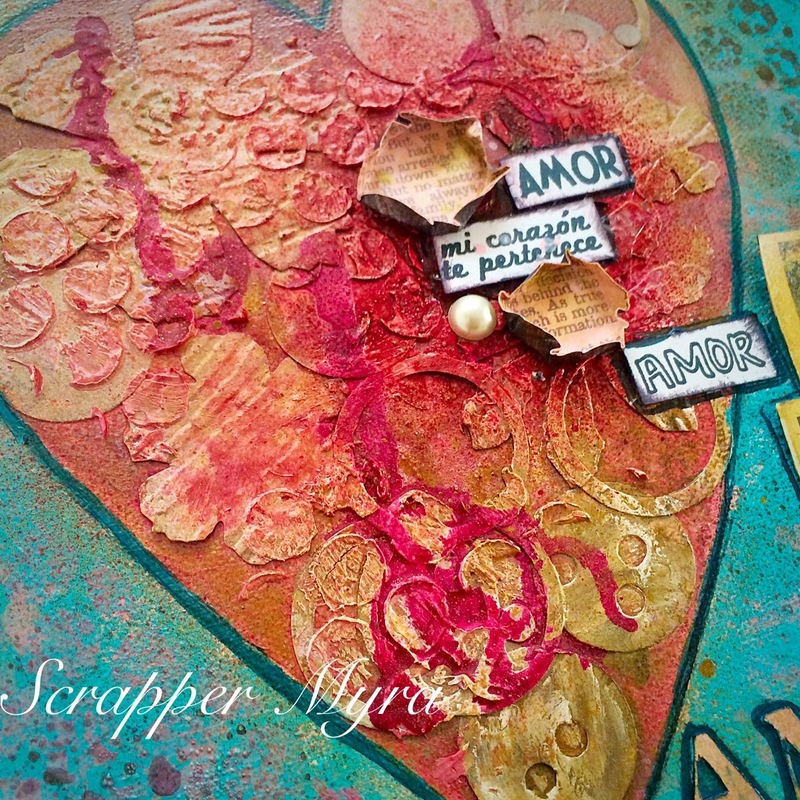 Here I am sharing a beautiful canvas using mixed media. Love to combine textures and colors in a canvas... and to also add paper and embellishments to the project to create a unique piece. 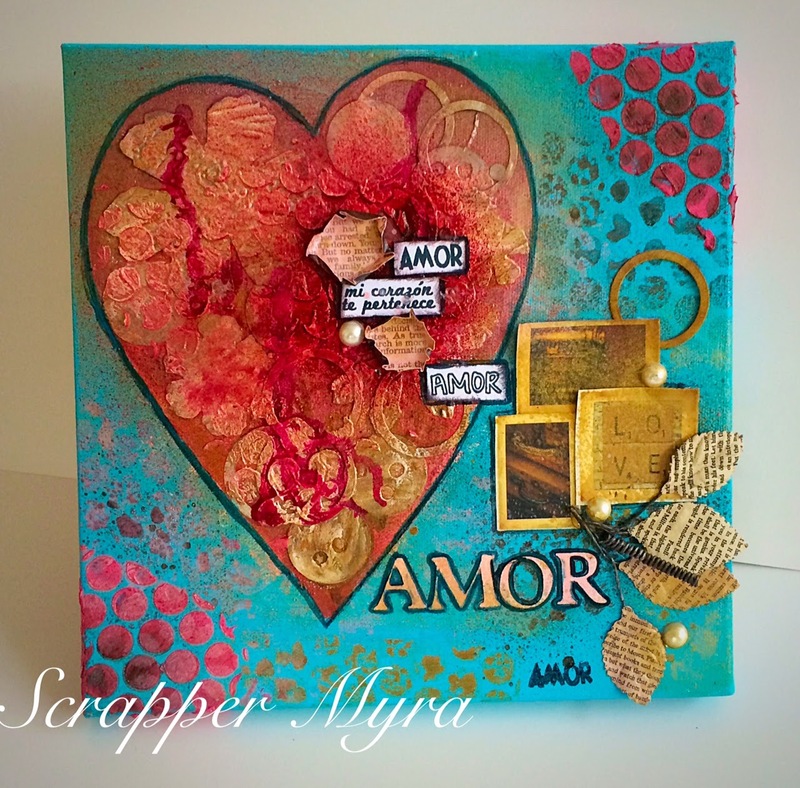 Look at my heart with paper shapes for texture, modeling paste applied with stencils, and even melted crayolas. Isn't it beautiful? :) I also added stamped sentiments from Latina Crafter, and pearls, among other embellishments. A few girls already saw this project in a local small store where it is being exhibited but this hasn't been shown/published yet so I am sharing it with you and with my Craft Stampers Magazine friends. Take it and Make it Challenge this month features the use of stencils, and I think this project is perfect for it. You can get more information HERE. Wow! Great colors. Thanks for joining us at the Take It Make It Challenge. 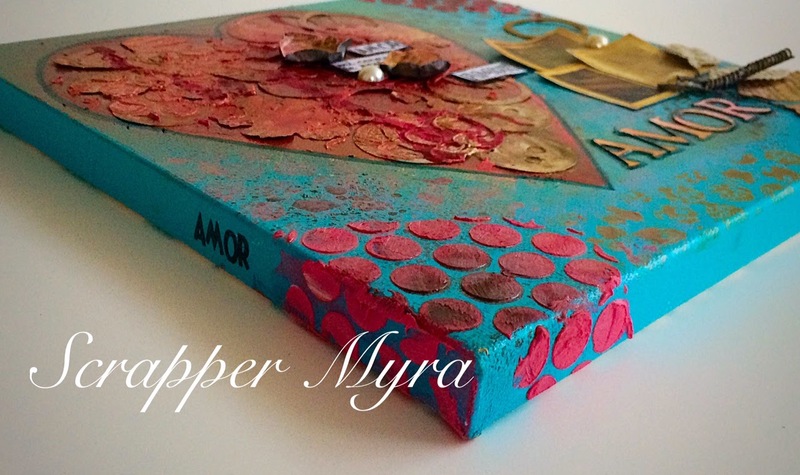 Myra, I just love your canvas !! Great heart ! I have also become your latest blog follower.